No matter what the story is, or who the storyteller is, it is impossible to give every detail of an event. 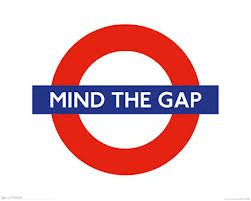 This means that there are inevitably “gaps” in every story. It’s great when the person relating the story is there with you because you can always ask questions that help to fill in the gaps. But if the story is written down and it is not possible to contact the author, gaps become more challenging. This is especially true of biblical stories which were written centuries ago in another language with a different cultural setting than ours. Some of the gaps we find in biblical narrative are a result of the distance between ancient times and the 21st century. As Robert Chisholm states, “Many of the gaps we perceive in a story would not have been present for an ancient Israelite audience, for ancient readers would have intuitively understood nuances of their language and aspects of their culture better than we do” (Interpreting the Historical Books, p. 69). However, sometimes the author deliberately left a gap in a story, and it is these intentional gaps that I am focusing on in this article. 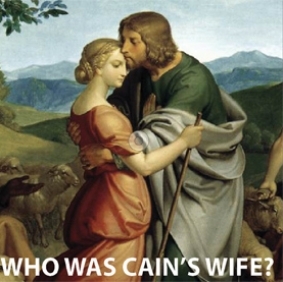 Probably the Bible’s most famous gap concerns Cain’s wife. There can be a number of reasons for intentional gaps in a story. First it is important to remember that writing in the ancient world was an expensive process and writing materials were not as readily available as they are today. Furthermore, space was limited. Books were not in use and only so much material would fit on a scroll. All of this means that a biblical author had to be selective about what to include and what to omit. One reason then for a gap in the story is that the detail was not considered important enough to include. Sometimes a gap occurs because the writer has left enough evidence in the text for us to figure out the obvious answer. This is probably the reason for one of the most famous gaps in the Old Testament. It seems that everyone who reads Genesis 4:17 asks the obvious question, “Where did Cain get his wife?” The author asserts that Adam and Eve are the first human beings and that all humanity is descended from them (e.g., Gen. 3:20; 5:1ff.). If the author’s story is taken at face value, then Cain’s wife must be a relative (either a sister or niece, etc.). It would be a waste of precious space for the author to explain this “obvious” detail. 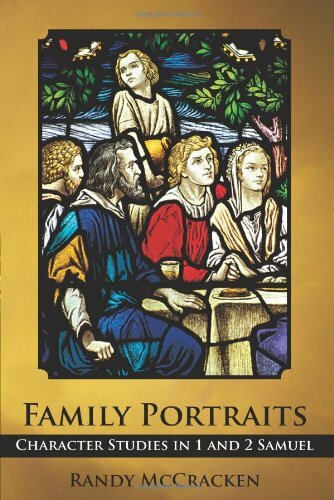 Another reason for gaps may involve the literary artistry of the biblical author. Gaps in the narrative may lead to surprises later in the story. For example, 2 Samuel 21:5-8 reveals that there are other living descendants of Saul besides Mephibosheth and his son (see 2 Sam. 9). Gaps naturally create curiosity and, at times, the author may use gaps to encourage the reader to investigate the text more carefully. The disappearance of Samuel from 1 Samuel 4-6 is an example. In 1 Samuel 3 Samuel is a young man who receives the word of the Lord. However, when Israel is defeated by the Philistines and the ark of God is captured (1 Sam. 4), Samuel appears nowhere in the story! 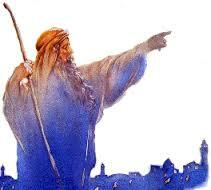 When Samuel finally reappears in 1 Samuel 7, he is a much older man. Why are so many years of Samuel’s life blanked by the author? We may presume that some of the material was irrelevant, as we have already discussed, but any reader must wonder how such an important figure can disappear from the story at one of the most critical moments, with no explanation of his whereabouts! The writer seems to be using this gap in the story of Samuel’s life to make an important point. Chapter 3 ends by telling us that the Lord let none of Samuel’s words “fall to the ground” and that all Israel knew that Samuel was a prophet of the Lord (2 Sam. 3:19-20). In fact, the statement made immediately before the battle with the Philistines is “And the word of Samuel came to all Israel” (2 Sam. 4:1). If Samuel was indeed God’s prophet, and his word never failed, then his absence in chapter 4 further emphasizes Israel’s apostasy. When the Israelites met the Philistines in battle they did not consult God’s word through Samuel. All we learn is that after an initial defeat, they put their trust in a religious relic–the ark (1 Sam. 4:2-5), rather than in God Himself. By removing Samuel from the narrative, the author subtly comments on Israel’s faithlessness without directly commenting on it! This conclusion is strengthened by the fact that when Samuel reappears in the narrative (1 Sam. 7:3), he is calling on the people to “return to the Lord” and to “put away” their foreign gods. In other words, it appears that when the crisis of 2 Samuel 4 happened, rather than turn to the Lord and Samuel, Israel turned to false gods! This technique of gapping used by the author causes the thoughtful reader to question Samuel’s absence and to read 2 Samuel 7 in light of the comments in 2 Samuel 3:19-21 and 2 Samuel 4:1. Because gaps naturally create curiosity, it is always tempting to provide an explanation for them. Before attempting to explain a gap we should ask several important questions. First, is the gap due to our lack of historical or cultural knowledge? If so, it is not an intentional gap created by the biblical author and we should be cautious about offering explanations for something we don’t have enough information on. Second, is the gap important to the story, or is it there because the details would be superfluous to the story? In other words, does the gap exist because the author has no interest in pursuing that particular aspect or detail? If this is the case, then we must consider that it may be a waste of our time to pursue something that the biblical author did not care to illuminate. Some bible studies fall into the habit of attempting to answer questions that the Bible itself is not concerned about, and that ultimately we can never know the answer to. This is a great waste of time and energy because we can miss what the author is really wanting to communicate and chase rabbit trails that, in the long run, are meaningless. 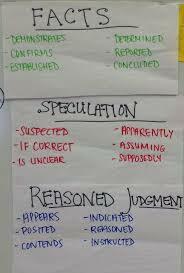 Third, if we discern that the author has intentionally left a gap so that we will dig deeper into the text, we must still be careful to ask the right questions. Using the example above about Samuel is a case in point. While we can observe that there is a gap in Samuel’s life story, the questions we ask about this observation are important. If we ask, “Where was Samuel all those years?” and then seek to answer that question by making guesses about his whereabouts (maybe he went to prophet school, etc. ), we miss the point. The important question is not, “Where was Samuel?”, a question we can never answer, but “Why does the author choose to omit Samuel from the story?” When we ask the correct question about a gap, we then have the opportunity to go deeper into the text. 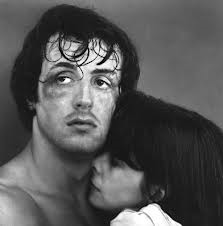 One of Rocky’s famous lines is, “She’s got gaps, I’ve got gaps, together we fill gaps.” Gaps are indeed a fact of life, especially when it comes to telling a story! My hope is that this article helps us to appreciate the gaps that exist in biblical narrative and provides a constructive approach to them. 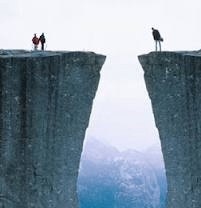 There are different kinds of gaps–some intentional, some unintentional. Together we can “fill gaps” but it is important to ask the right kinds of questions if we desire a deeper understanding of biblical stories. I didn’t know all of that about Gaps. Glad to get that information.